Andrew Mathewson joined the Army as an Apprentice Fitter and Turner in 1980. He entered the Royal Military College in 1986, graduating into the Royal Australian Electrical and Mechanical Engineers (RAEME) in mid 1987. Early postings were predominantly technical. In 1995, Andrew undertook a Master of Science degree at the Royal Military College of Science, Shrivenham in the UK and subsequently worked in project management on land weapons and armoured vehicle projects. In 1998, as the Bushranger Trial Manager, Andrew was responsible for the management of a competitive trial of infantry mobility vehicles contested between two industry contenders. Following graduation from the Army Command and Staff College in 1999, Andrew served in Joint Logistics Command. During 2001-02 on exchange to HQ Land Command in Salisbury UK, he deployed to Kosovo with the 7th Armoured Brigade in 2001, then to Bosnia with the Multinational Division Headquarters at Banja Luka in 2002. On promotion to Lieutenant Colonel in 2003, he undertook the role of Acquisition Project Manager, in Project AIR87 procuring the Armed Reconnaissance Helicopter. Following a year working in Army Headquarters, Andrew returned to the UK in a military attaché role as Assistant Army Adviser within the Australian High Commission, London. In January 2008, he was promoted to Colonel as Program Director AIR9000, Multi Role Helicopter Program. On 1 November 2010 he was promoted to Brigadier as Director General Army Aviation Systems, responsible for the acquisition and support to Army’s helicopter and unmanned aerial systems fleets. 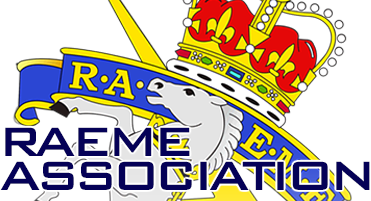 In November 2012, in a part-time capacity, Andrew was appointed as Head of Corps RAEME, by the Chief of Army. He is also Patron of the Australian Army Apprentices Association. In 2015 he was appointed as a Member of the Order of Australia. He has also been the Head of Corps RAEME for the last three years, where he strongly sponsored and supported the production of the recently published Corps History, “With Skill and Fighting – Craftsmen of the Australian Army 1942-2014”. Promoted to Major General in September this year (2015). 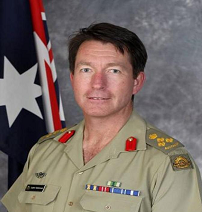 Major General Mathewson has completed a Bachelor of Mechanical Engineering (1st Class Honours), a Master of Business Administration (Technology Management), a Master of Science (Defence Technology) and a Master of Defence Studies. Andrew and his wife Tina have two daughters aged 18 and 21. Andrew’s leisure interests outside of family life include bushwalking, reading, woodwork and painting.